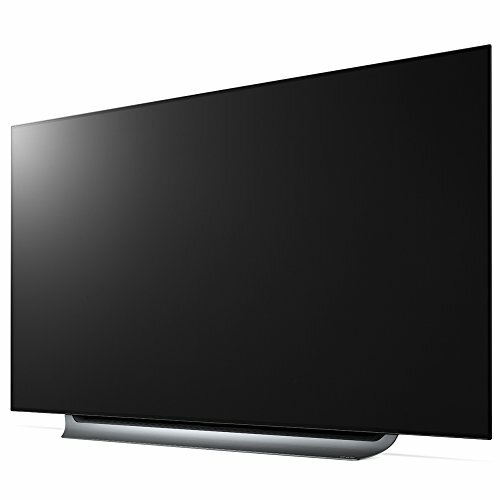 LG OLED TVs are getting smarter, thanks to a new A9 image processor plus ThinQ AI. The 65in C8 reviewed here represents the jumping on point for this sentient silicon, below the E8, G8 and W8 models. 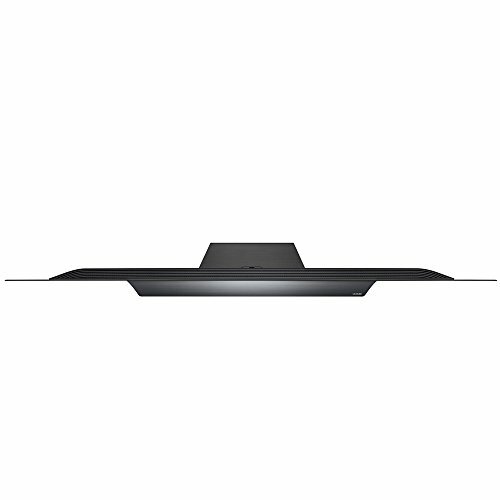 Its brain may be big, but the C8 is thin, swelling out only to accommodate electronics and connectivity. Also available in 55in and 77in screen sizes, it looks suave with grey trim and edge-to-edge glass. Ports include four 4K-ready HDMIs, three USBs, a digital optical audio output and Ethernet. Wi-Fi and Bluetooth are standard, and Freeview Play is built-in. If you tire of UK catch-up, there’s 4K Netflix, Amazon and YouTube to chow down on, plus Rakuten TV’s growing slate of 4K Dolby Vision movies with Atmos. We’ve long applauded LG’s WebOS system; now ThinQ AI adds intuitive search and voice control. The C8 comes with LG’s latest Magic Remote, which has an integrated microphone to provide interaction with the ThinQ AI brain. Being a doofus, I constantly pushed the mic button when I actually wanted the OK wheel, but that apart the cursor system still works well. Picture quality is nearly always stunning. The set’s 2018 Alpha 9 intelligent processor does a fine job, although venturing into the TV’s menus is now a bit like visiting The Upside Down. You will be confused. With 35 per cent more raw power, and twice as much memory, LG has developed ingenious new ways to improve image quality. These include quad-step noise reduction and de-contouring, plus an entirely new image enhancement system with frequency-based sharpness control, object-based contrast optimisation, and an adaptive colour process used in the set’s Vivid mode. Colour mapping has also been significantly enhanced. The boffins have been busy – and one unexpected benefit of this wizardry is that the TV’s onscreen text displays are appreciably sharper. 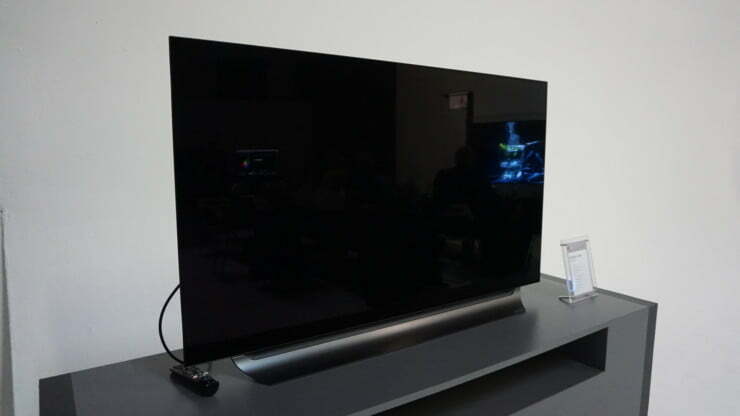 The set’s HDR performance is in line with comparable 2018 OLED panels. I measured a peak luminance of 840 nits with a 5 percent window. 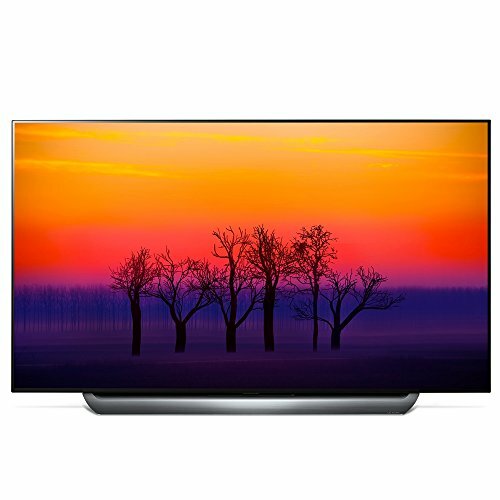 The TV delivers the thrills of HDR highlights, aided by OLED’s pixel-level luminance control. Rich blacks are as advertised, and Season Two of Stranger Things (Netflix) plays with an eerie level of shadowed detail. Meanwhile, the super-pig in Okja (Netflix, Dolby Vision) looks astonishingly lifelike, its eyes sparkling with intelligence. LG has made some changes to its motion handling this year, with mixed results. Certainly in terms of detail retention, the C8 performs well. Both its TruMotion Smooth and Clear modes offer crisp detail, excellent for fast-moving sports. Yet motion haloing remains an issue. My preferred back-stop was the User setting, with de-judder on or near zero, and deblur set to 10 or close. A new black-frame insertion Motion Pro setting is available as a User adjustment, but this dims the picture and introduces flicker. It also makes pans stutter, so it’s not an option I’d advocate. 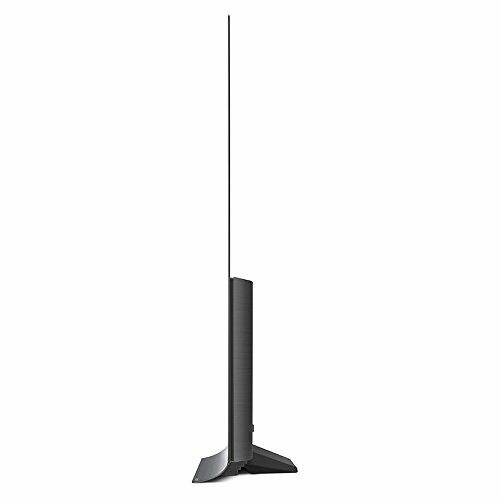 Audio quality is above average, but doesn’t compete with the Acoustic Surface Technology of Sony’s AF8 TV, or the soundbar theatrics of Philips’ OLED903. That said, you can always bitstream Dolby Atmos from the set’s Netflix app over HDMI ARC into a suitable sound system. 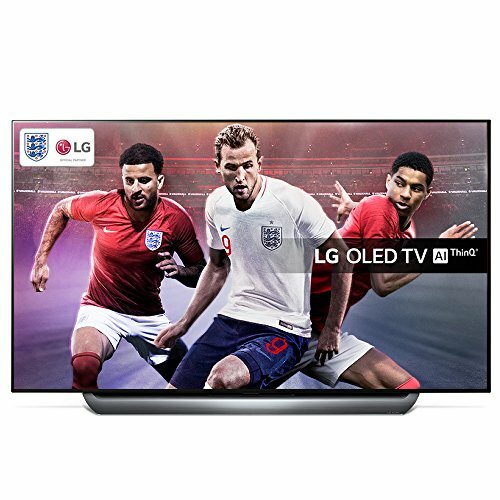 It would be dumb to suggest the LG C8 is anything other than a cracking OLED TV. It presents a superb picture, not just with 4K HDR, and its smart platform is class-leading. Sometimes a challenge to use, to be sure, but the C8 is a satisfying OLED option. This 65-incher can be a tad baffling to use, but it's a dazzling picture performer with a comprehensive smart platform.